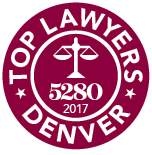 Koby graduated from the University of Denver, College of Law in 2009 and has been practicing immigration law exclusively since that time. 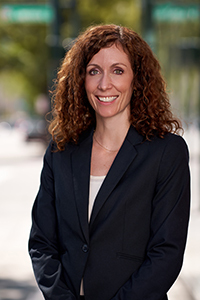 She enjoys working with both individual clients and employers, advocating for them as they navigate through complex immigration laws. 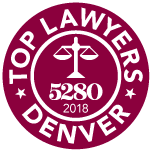 While attending law school, Koby worked as a law clerk for a firm specializing in family immigration and removal defense as well as with a corporate law firm in Denver focused on employment-based immigration. She also interned with a corporate law firm in Caracas, Venezuela. Koby is a member of the American Immigration Lawyers Association (AILA) and has successfully represented employers, individuals and families before the Department of Labor, the United States Citizenship and Immigration Service, the immigration court, the Board of Immigration Appeals, and at consulates abroad. She served previously as the chair of the Colorado AILA and Immigration and Customs Enforcement (ICE) liaison committee and also as a member of the Board of Directors for CASA of the Continental Divide, a non-profit organization that assigns volunteers to advocate on behalf of children in Dependency and Neglect proceedings. Koby obtained her undergraduate degree from Colorado College, where she majored in English and Spanish. Outside of the office, she likes to run, practice yoga, and spend time with her husband and two young daughters. Koby speaks English and Spanish.